(SPOT.ph) Between their mouth-watering food and quirky pop culture, there are so many things to love and admire about Japan. 1. You now refer to sushi dishes in their Japanese names. 2. You absolutely love doing kawaii peace signs during selfies. 3. You take your shoes off before you go inside the house. 4. Green tea is most definitely your drink of choice. 5. You go to great lengths to collect scale figurines of popular manga and anime characters. 6. You’ve learned the importance of being prompt. In fact, you're never late for work anymore. 7. You’ve memorized the lyrics to some of the most popular J-pop songs. 8. "Engrish" is no longer a punchline, but rather a perfectly fine way of speaking. 9. When saying hello or goodbye, you find yourself bowing instead of just waving your hand. 10. Your day simply isn’t complete anymore without slurping into a #SouperSarap big bowl of noodle goodness. The best and easiest way to tell that you’re actually turning Japanese? 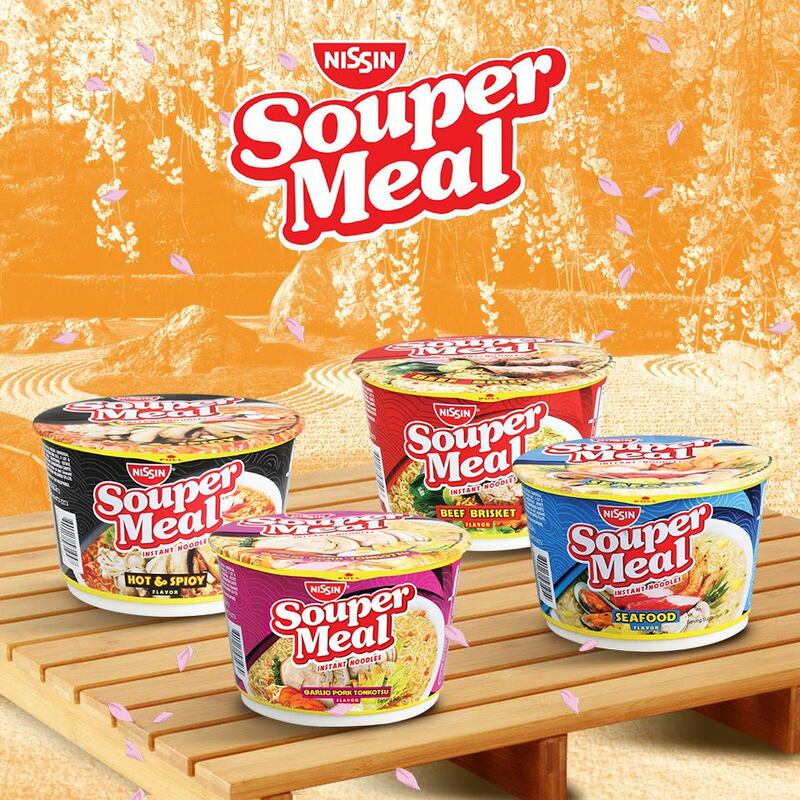 You absolutely can’t get enough of the latest offering from Nissin—Nissin Souper Meal. It’s a steaming bowl of goodness that lives up to your appetite and taste buds. With big servings and four delicious flavors to choose from (Seafood, Beef Brisket, Hot and Spicy, Garlic Pork Tonkotsu), this is everything you need to satisfy your noodle cravings. Visit Nissin Souper Meal’s Facebook page to know more about this #SouperSarap experience. This article was created by Summit Storylabs in partnership with Monde Nissin.